The chocolate milk debate as a test writing prompt is dead in Connecticut to all grade levels. Apparently, the same nutritional charts, editorials, and endorsements from dairy groups organized in packets and given to students from grades 3-11 to teach how to incorporate evidence in a fake persuasive argument under testing conditions was convincing enough to have real CT residents make a persuasive argument for legislators. To show his solidarity with the people, Governor Malloy quaffed down a container of chocolate milk before vetoing a bill that would have banned the sale of chocolate milk in schools. Standardly, the writing prompt is addressed in English/Language Arts (ELA) class in elementary schools, but in middle and high schools, a persuasive essay is often the responsibility of the social studies teacher. The assumption here is that the skill of persuasion requires research and the incorporation of evidence, both taught in social studies classes. In contrast, ELA classes are dedicated to the analysis of literature through essays using a range of skills: identifying author’s craft, identifying author’s purpose, editing, and revising. The responsibilities for the writing portion of an exam are divided between the ELA classes for the literary analysis essay and the social studies classes for the persuasive essay. This design is intended to promote an interdisciplinary effort, but it is an intellectually dishonest division of labor. ELA teachers have choices to prepare students for standardized tests using ELA content (literature and grammar) to improve skills. Math and science teachers are also tied to their disciplines’ content in order for their students to be prepared. Social studies is the only core discipline with the test-prompt disconnect. So, what topics might test creators design to replace the infamous chocolate milk debate prompt? Before test creators start manufacturing new and silly debates, there is a window of opportunity where attention could be brought to this disconnect between content and testing in writing. Here is the moment where social studies teachers should point out to test creators the topics from their curriculum that could be developed into writing prompts. Here is a foot in the door for the National Council for the Social Studies to introduce writing prompts that complement their content. For example, there could be prompts about Egyptian culture, prompts on the American Revolution, or prompts about trade routes and river based communities. Too often, social studies teachers must devote class time to topics unrelated to curriculum. “Do they think they are ‘cool’ because they mentioned Twitter?” countered another. Previous standardized test writing prompts (in Connecticut, the CMT and CAPT) for high school and middle school have been devoted to asking students to write persuasively on the age students should be able to drive; whether wolves should be allowed in Yellowstone National Park or not; whether to permit the random drug testing of high school students; and whether there should be uniforms required in schools. Please notice that none of these aforementioned prompts are directly related to the content in any social studies curricula. Furthermore, the sources prepared as a database for students to use as evidence in responding to these are packets with newspaper opinion columns or polls, and statistical charts; there is no serious research required. Here is the moment when social studies teachers and curriculum leaders need to point out how academically dishonest the writing prompt is on a standardized test as a measure of their instruction in their discipline. No longer should the content of social studies be abandoned for inauthentic debate. 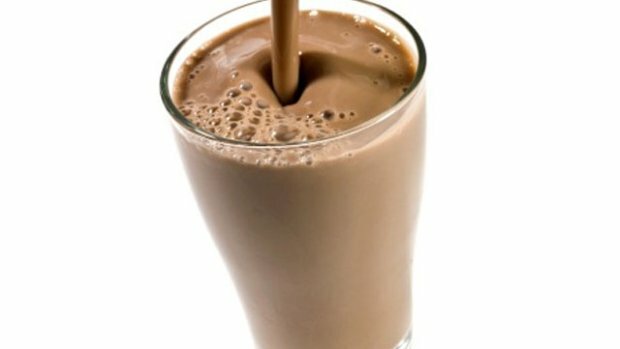 The glass in Connecticut is half-full now that students can have chocolate milk in schools. Time for test creators to empty out the silly writing prompts that have maddened social studies teachers for years. Time to choose content over chocolate.